Available now on Steam, GOG, Humble Store and more! 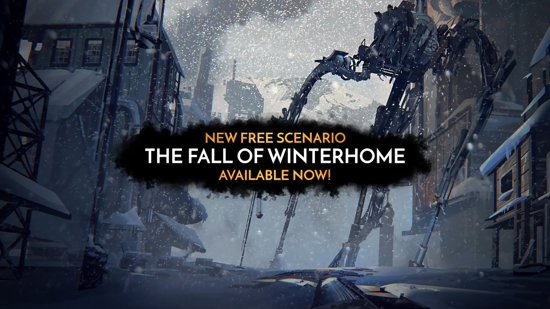 The Fall of Winterhome, a story-driven, free expansion for Frostpunk, has automatically updated in all existing copies of the game today, Wednesday, September 19th. The narrative unveils the events preceding those in the main campaign, where players might have discovered the ruined town of Winterhome. The scenario tells of what had happened in the town before catastrophe struck. The Fall of Winterhome offers hours of brand-new content, new visuals and most importantly a new take on Frostpunk's mechanics. Players will get the chance to roam around a new map and reveal even deeper lore about the frozen wasteland in which they cling to survival within in-game. What is the truth behind The Fall of Winterhome? Discover its mysteries now! Frostpunk is a city-survival game set on an alternate, frozen Earth where heat means life and one person must make the tough decisions to preserve humanity as a species. Play The City’s ruler, managing both the inhabitants and the infrastructure. What choices will you make so the society can survive? What will you do when pushed to the limits? Most importantly, who will you become in the process?